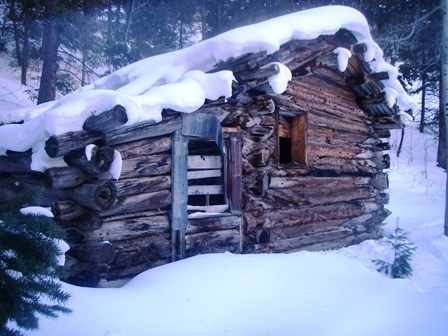 Ghost towns of Colorado provide us with a window into the past through relics and structures long abandoned. Many of these towns are near abandoned mines. They may be empty now but at one time they had saloons, hotels and whores. Many of these towns just happen to be located in beautiful mountain settings so enjoy the surroundings while you explore the fascinating historical towns. This town lies deep in the San Juan Mountains and is only accessible during the summer months with a good 4wd vehicle. It is truly the high country in this town. Animas Forks was a success in the late 19th century but like many of the mining towns it became solvent and the workers moved on. You can access Animas Forks through Silverton or by using the difficult road over Cinnamon or Engineer Pass. Ohio City was founded as a gold town in the 1860's and flourished until the gold ran out. The town was abandoned but later reoccupied when silver was found in 1879. A little over a decade later the town was abandoned again. Just before the turn of the century the gold vein was reopened and the town was occupied for the third time. 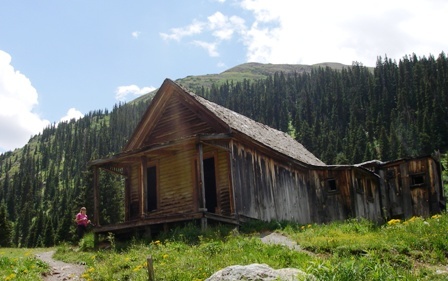 Around 1913 the mine was closed and Ohio City officially became a ghost town of Colorado. This is a great ghost town to visit. Hosting one of the biggest marble quarries in the country this is on interesting ghost town. Marble lies near the Crystal river and is still occupied by a few people but not near what it once was. The marble from this mine is said to have been used in the Lincoln Memorial as well as other important architure. Many of the original buildings are still standing and we highly reccomend visiting. This is a great site to visit. Many of the old structures remain standing but this town was short lived. At nearly 11,00 feet the summers were short and the winters long and cold. The mining business was not incredibly productive but the town had over 1,000 residents in 1883. Independence was a ghost town by 1890. Located in Hinsdale County, Carson lies near the continental divide. Gold and silver were mined year round by the heartiest of miners. The winters were brutal at near 12,000 feet but they stuck it out for a while. Today there are several buildings that remain and some beautiful scenery to view. This is a summer destination that requires 4wd and is one of our favorite ghost towns of Colorado.